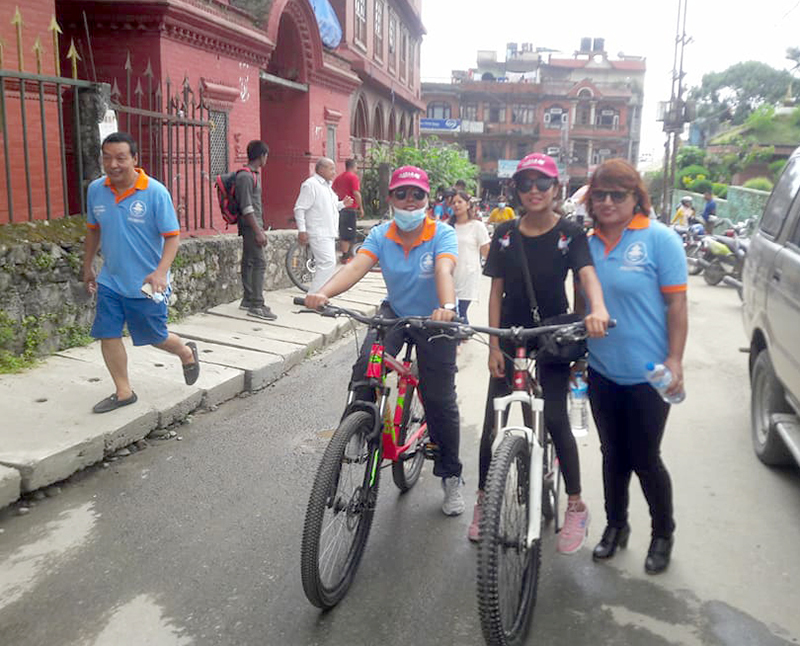 The cycle rally begun from NATTA office, Naxal, went through Maharajgunj reaching the religious site, Budhanilakantha, located in the northern outskirt of the Kathmandu Valley. The participants in the rally engaged in temple sanitation for a while there. Returning from Budhanilakanth, the cycle rally went to Dhannwantari futsal of Handigaon through Dhumrabarahi and Bafal. Even a blood donation will be organized on Monday, said NATTA Chairman Madhusudhan Acharya.